JOINT BASE SAN ANTONIO, Texas -- Arlene Johnson, Neonatal Intensive Care Unit registered nurse, received the Daisy Award during a ceremony May 16 at Brooke Army Medical Center. Johnson was nominated for the DAISY Award by a family whose son was born prematurely and spent the first 8 weeks of his life in the NICU. The first time mom, described her fear, anxiety, helplessness and hopelessness in those first few days until she met Johnson who provided reassurance that she had all the tools she needed to care for her newborn and the entire NICU staff was there to answer any questions and assist her every step of the way. Today, her baby is a happy, healthy, headstrong 10 month old. 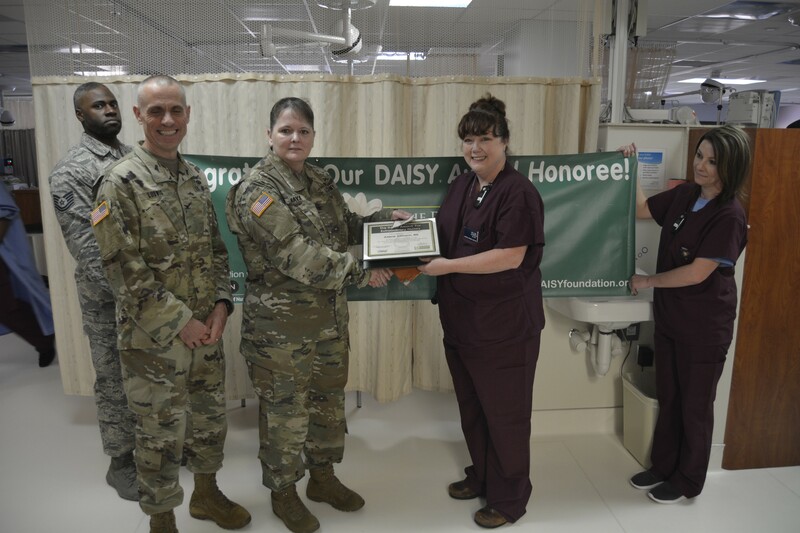 The DAISY Award, provided by the DAISY Foundation, is presented quarterly to one "Extraordinary" nurse who goes above and beyond for their patients.